Join us on September 17, Constitution Day, at this special free event in the Great Hall at Cooper Union featuring live readings and music in a celebration of resistance and radical struggle. 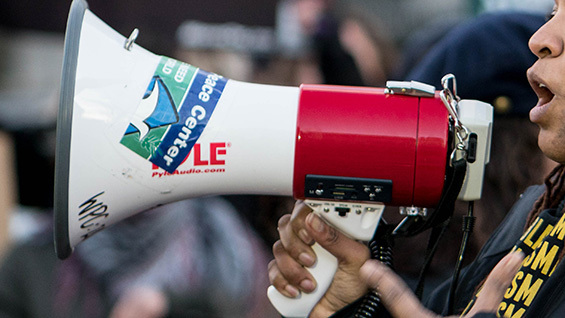 By giving public expression to rebels, dissenters, and visionaries from our past—and present—VOICES seeks to educate and inspire a new generation working for social justice. Registration required, but seating is first-come, first-served. Voices of a People’s History of the United States brings to life the extraordinary history of ordinary people who built the movements that made the United States what it is today, ending slavery and Jim Crow, protesting war and the genocide of Native Americans, creating unions and the eight hour work day, advancing women’s rights and LGBTQ liberation, and struggling to right wrongs of the day. And more special guests to be announced. This event is co-sponsored by The Cooper Union and Voices of a People’s History of the United States.